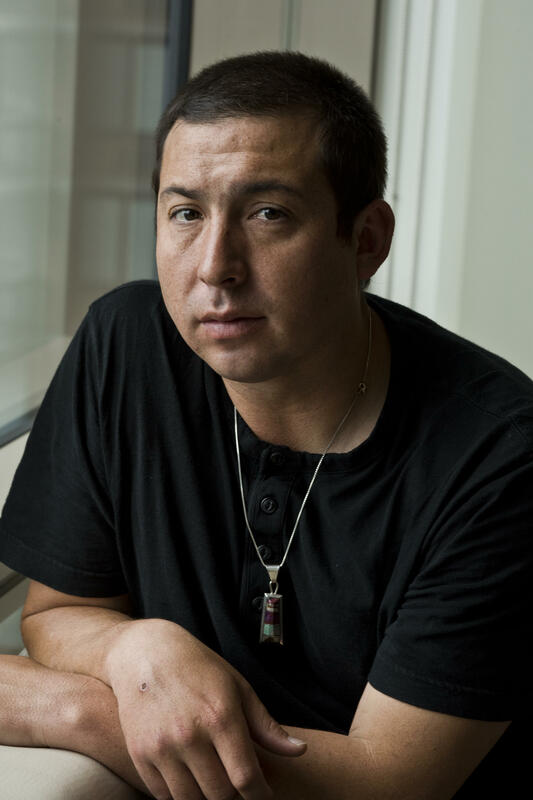 Tommy Orange's debut novel features a wide cast of characters who are all Native American, with varying degrees of connection to the culture. He says, "I wanted to represent a range of human experience as a way to humanize Native people." Orange knows that if his book does well, it will help other Native American writers get deals in the future. He says, "I just want to help keep the momentum going and help usher in more voices." Orange's mother is white, and his father is Cheyenne. As a kid, Orange wasn't much of a reader. But after graduating from college with a degree in sound engineering, he couldn't find work, so he got a job at bookstore where he developed a passion for reading. "I was in my 20s and also searching for meaning," he says. "And I wasn't a reader, so fiction was a super novel thing for me, and the novel itself was. And I just fell in love with it." The leap to writing seemed like a natural progression for Orange. And now, with the publication of his first novel, he's taking another leap — this time, from the solitary world of reading and writing to center stage at BookExpo. As Orange prepares to do a reading in the conference's cavernous main hall at New York City's Javits Center, his publicist hovers nearby. All this is new to the young writer, who doesn't seem entirely comfortable with public speaking. During a book signing event for independent booksellers, he doesn't make a lot of small talk. But Orange has a quiet charm. He's an affable guy who is easy to be around, and many of the booksellers are eager to schedule him for events at their stores. Making an impression on booksellers is crucial to a young writer's success, and based on the feedback in New York, There There has very much caught the attention of this community. Hannah Oliver Depp works for WORD Bookstores in Brooklyn and Jersey City. She says her entire staff is recommending Orange's novel. "It is what people are talking about," she says. "We pick a book a season to focus on and this has very easily been voted on as the one they want to promote." "There's a dehumanization that's happened with Native people"
There There is a work of fiction, but it begins with a nonfiction essay that shatters the myth of the stoic Native, portrayed over the years by the iconic Indian head image, which was once ubiquitous on nickels and on late night TV. Orange replaces that benign image with brutal examples from history of violence against Indians. He says, "For Native writers there's a kind of burden to set the record straight because it's been told wrong so long. So I was trying to find a way to do it in an interesting way. And I started finding all these connections around the Indian head and all these different ways that the Indian head has played out throughout history." Orange has attracted a lot of attention for being in the vanguard of a new generation of Native American writers. And in focusing his work on urban Indians, he's taken on a subject that gets scant attention in literature. He says, "Native people look like a lot of different things, and we are in cities now — I mean, 70 percent of Native people live in cities now. And we just need a new story to build from, and I always wanted to try to do that." Orange says his father had a traditional Native upbringing in Oklahoma, but he didn't have a lot of time to introduce his children to Native American culture — and that's a common experience for kids like him, who grow up in a big city. "Growing up on a reservation, you have a land base and you have a community of people," he says. "And I think it's easier to come to a solid identity in a situation like that, than just being in the sprawl of buildings and all different kinds of people. You might need to seek it out more actively if you are growing up in the city." There on the screen, in full regalia, the dancer moved like gravity meant something different for him. It was like break dancing in a way, Orvil thought, but both new — even cool — and ancient-seeming. There was so much he'd missed, hadn't been given. Hadn't been told. In that moment, in front of the TV, he knew. He was a part of something. Something you could dance to. Orvil hears that a powwow is coming to town and decides he wants to be part of it. The powwow becomes the centerpiece of the story, with all the characters eventually heading toward it. Orange says the idea for this novel just popped into his head, and he always knew he would structure it around a powwow. "It feels contemporary and traditional," he says. "It's intertribal. It's a marketplace where you sell art, and people work hard toward that. You have dancing and singing and a big drum, and there's a loudness and a visibility. And so I think people who go to powwows, Native or non-Native, can really feel the spirit of Native people, or one aspect of it anyway. And it just fits really well within what an urban Native community can be." Each character in the book is drawn to the powwow for a different reason. There's a struggling alcoholic who finds some peace in drumming; an aspiring storyteller who hopes to do an oral history of the community; a young woman who has escaped an abusive marriage; and some would-be thieves who plan a robbery, which will go terribly wrong. Each has a backstory, and the ties that bind the characters gradually become clear. Orange says he wanted to create a large cast of characters to offset the stereotypes of Native people. 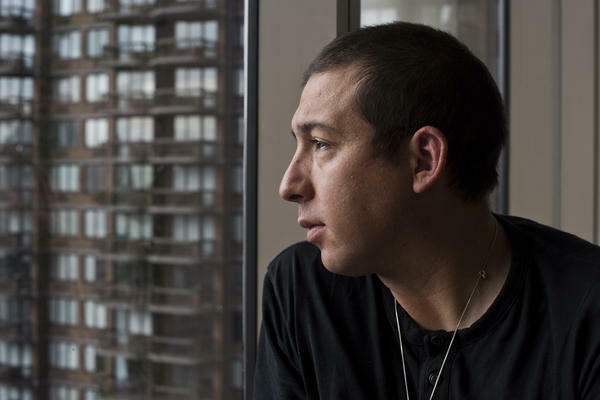 "There's a dehumanization that's happened with Native people because of all these misperceptions about what we are," he says. "And it's convenient to think of us as gone, or drunks, or dumb. It's convenient to not have to think about a brutal history and a people surviving and still being alive and well today, thriving in various different forms of life, good and bad. I wanted to represent a range of human experience as a way to humanize Native people." Back at the book signing, booksellers are lining up to chat with Orange. Abby Fennewald, of BookPeople in Austin, Texas, says she loved the There There. "It brings together all these various characters that I just felt so involved with. And then the ending is just this crazy powerful moment, and then I was just left in shock." As the signing goes on, Orange seems to grow more comfortable in the role of popular author. It's not his natural habitat, but he knows these days an author has to make an effort to sell his books. And he knows that if his book does well, it will help other Native American writers get deals in the future. "There's tons of authors that are just emerging at the same time as me, and I think it's a really exciting time," he says. "And I just want to help keep the momentum going and help usher in more voices." When the publicity blitz is over, Orange says he looks forward to getting back to writing and teaching; mentoring would-be authors who may hope to be in his position one day.